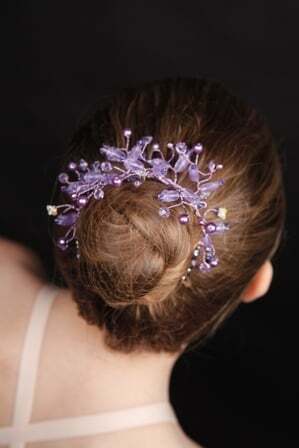 The Winter Minuet Bun Tiara is a beautifully designed handmade crystal beaded Bun Tiara. 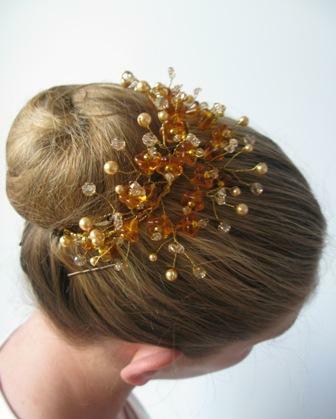 A combination of quality Swarovski Crystal and Czech Fire Polished Crystal beads have been used to make up this lovely versatile design. 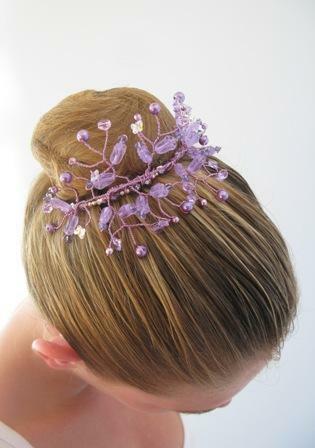 The Winter Minuet Bun Tiara comes in a range of beautiful colours: Mint Green, Clear Crystal, Rose, Lilac, and Sapphire. 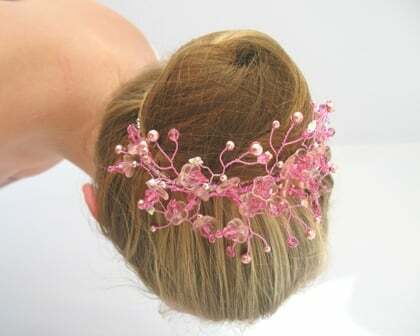 The bun tiara is available in the follow wire colours: Silver, Gold, Lilac, Sapphire, Green and Rose. 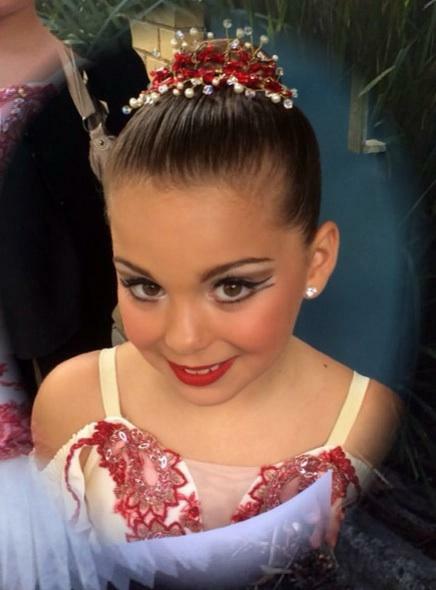 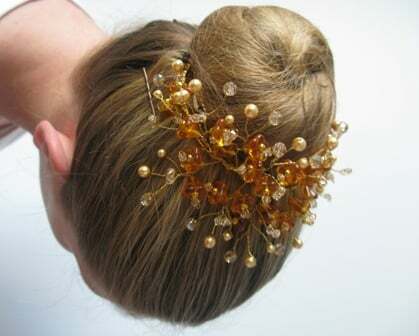 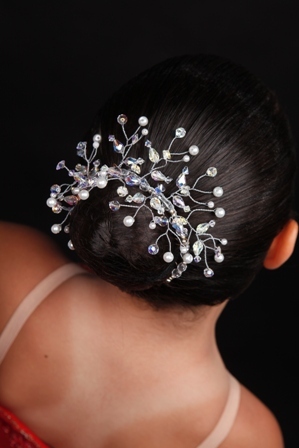 Perfect for any age dancer, its a medium size and fits snugly around the bun and is secured easily using bun hair pins.